Special Civil Application No. 19040 of 2015 with Civil Application No. 2437 of 2016 in Special Civil Application No. 19040 of 2015. D/d. 5.5.2016. For the Petitioners Nos. 1 and 2 :- D.V. Kansara, Advocate. For the Respondents Nos. 1, 3 and 4 :- Tirthraj Pandya, AGP. For the Respondents No. 2 :- H.B. Champavat and J.V. Vaghela, Advocates. For the Respondents Nos. 2 and 4 :- Notice Served By DS. N.V. Anjaria, J. - The petitioners have filed this petition against order dated 30th October, 2015 passed by the fourth respondent herein-the Sub Divisional Magistrate, exercising his powers under the Maintenance and Welfare of Parents and Senior Citizens Act, 2007. 2. Allowing Appeal No. 68 of 2015 of the second respondent herein, the Sub Divisional Magistrate directed the petitioners to hand over the possession of the house property described as B/1, Santoshnagar Society, Camp Road, Shahibaug, Ahmedabad to the second respondent from the petitioners herein. The Police Inspector of the Shahibaug Police Station was directed to carry out the order regarding handing over the possession. 3. Petitioner No. 1 happens to be the son, whereas petitioner No.2 is a daughter-in-law of the second respondent-mother. The second respondent has two other sons and daughter staying in Ahmedabad only. It is the case of the petitioner that father of the petitioner died on 06th November, 2003 and the brothers have already taken their share from the property. The second respondent mother had been residing with the petitioners in the house and according to petitioners, they were taking care of the mother. It is stated in the petition that before the competent civil court, a civil suit has been instituted by the petitioners herein, in which the Court Commissioner's Report was put on record establishing residence and possession of the petitioners of the house in question being B/1, Santoshnagar Society, Camp Road, Shahibaug, Ahmedabad. 3.1 The second respondent-mother filed an application under the provisions of the Maintenance and Welfare of Parents and Senior Citizens Act before respondent No.4 authority. In the said application filed under Section 4 of the Act, it was prayed against all the three sons including the petitioner No.1 for giving maintenance of L 15,000/- to L 20,000/- every month. From the copy of the application available on record, the case of the second respondent was inter alia that the two sons were settled by her and her husband-the father after marriage and that they have been staying separately. It was stated that since last forty years, she has been staying with the petitioner No.1 who is her youngest son. It is the averment of the second respondent-applicant that after death of her husband in the year 2003, she was meted out harassment in various ways by the petitioners. According to the second respondent, the petitioners were not giving her money and though the house in question belongs to her, petitioner No.1 started renovation without her permission and further stated that he had spent for the house, the same should transferred in his name. Allegations of umpteen kinds were averred in the application by the second respondent. It was pleaded that she should be given her house. According to the applicant-mother, she had gone to the house of her daughter at the time when the petitioners were undertaking renovation of the house in question as dispute about the renovation and other different disputes of serious nature had arisen. It may be stated that the petitioners has filed Civil Suit No.1820 of 2015 before the City Civil Court, Ahmedabad against the mother-the second respondent herein, the sister Kiranben and brother-in-law, arraigned as defendants in the Suit, wherein relief is prayed against the defendants from interfering with the repairing work of the house and for declaration that they had no right to obstruct and interfere. 4. Learned advocate for the petitioners Mr. D.V. Kansara inter alia submitted that the copy of the order dated 30th October, 2015 was served upon the petitioners on 04th November, 2015 only, the petitioners could not challenge the same before the Appellate Tribunal. As the petitioners could not arrange for funds, in the meantime the limitation period to prefer appeal expired, and the second respondent took away the possession of the house property where they were residing, with police force. 4.1 It is the averment made that police throw out all the valuables, furnitures and fixtures of the petitioners on the road, rendering the petitioners roofless. Learned advocate submitted that the petitioners have been staying since then in a rented premise and thus have been ousted to be made homeless though they stayed in their house and are entitled to stay thereat. It was seriously contended that the son of the petitioner No.1 had been negotiating his examinations and the circumstances created by taking away forcible possession had been creating great hardships to their lives. It was further submitted that therefore the whole action and the impugned order was without any reasonable opportunity to the petitioners and against the principles of natural justice. 4.2 Learned advocate for the petitioners assailed the order passed by the Sub Divisional Magistrate on the merit-ground that the Tribunal while deciding the application under Section 4(1) read with Section 23 of the Act cannot issue direction for handing over possession of the property. It was submitted that the house property was in possession and enjoyment of the petitioners. Conceding in the pleadings of the petition, the petitioners stated that though they are having alternative remedy to challenge the order before the Appellate Tribunal, since the order and the nature of direction issued in the order was without jurisdiction, they have filed the petition. 4.3 Learned advocate for the petitioners further submitted and stated that they were never averse to taking care of their mother-the second respondent and keep her in their house as all along for 40 years she stayed together and the petitioners took care of her. Learned advocate for the petitioners further stated that the petitioners are also ready to pay the reasonable maintenance amount while keeping the mother with them in their house in question. 4.4 The second respondent filed affidavit-in-reply and contended that she was tortured and harassed. She reiterated her allegations made in the complaint. By filing rejoinder affidavit, the say of the second respondent was refuted by the petitioners. 5. Having considered the facts and circumstances of both the sides, it may be observed that though it is true that Section 16 of the Act provides for appeals, the said Section reads as under. Provided further that the Appellate Tribunal may, entertain the appeals after the expiry of the said period of sixty days, if it is satisfied that the appellant was prevented by sufficient cause from preferring the appeal in time." 5.1 A bare reading of the aforesaid provision suggests that though the appeal is available to the Appellate Tribunal, such appeal can be filed by any senior citizen or parent. By express provision therefore the Legislature appears to have limited right to appeal for the limited class of persons, namely senior citizens or parents. It is this class of persons which are treated as aggrieved for the purpose of preferring appeal. In circumstances, the contention of learned advocate for the petitioners in counter to the submission about availability of alternative remedy of appeal could be countenanced. In view of the provision and further in view of the totality of facts and circumstances including that the petitioners were ousted the possession of the house proceedings, in this proceeding under the Act for Maintenance and Welfare of Parents and Senior Citizens, exercise of writ jurisdiction in respect of the impugned order is only proper. 5.2 Now, coming to the submission on which main thrust was given, that the Tribunal under the Act does not have power to order eviction from premises or to hand over possession from one party to another party, Section 23 of the Act reads as under. "23(1). Where any senior citizen who, after the commencement of this Act, has transferred by way of gift or otherwise, his property, subject to the condition that the transferee shall provide the basic amenities and basic physical needs to the transferor and such transferee refuses or fails to provide such amenities and physical needs, the said transfer of property shall be deemed to have been made by fraud or coercion or under undue influence and shall at the option of the transferor be declared void by the Tribunal. (2) Where any senior citizen has a right to receive maintenance out of an estate and such estate or part thereof is transferred, the right to receive maintenance may be enforced against the transferee if the transferee has notice of the right, or if the transfer is gratuitous; but not against the transferee for consideration and without notice of right." 5.3 Under Section 4(1) of the Act, a senior citizen including parent unable to maintain himself from his own earning or out of the property earned by him, is entitled to make an application under Section 5 against one or more children who is not minor and if the senior citizen is childless, against such relative referred to in clause (g) of Section 2. A conjoint reading of the two provisions, submitted learned advocate for the petitioners, suggest that a senior citizen or parent is entitled to seek maintenance. 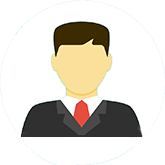 The maintenance is a monetary relief and such maintenance may be flowing from the earning out of the property. 5.4 It was emphasised that none of the provisions in the Act, much less an interactive reading of Section 4(1) with Section 23, allows an interpretation that handing over of possession of property by one party in favour of the maintenance seeking senior citizen or parent is permitted; power in the nature of eviction or transferring the possession or handing over thereof in relation to any property is not contemplated under the provisions of the Act. Learned advocate for the petitioner further relied on the Gujarat Maintenance and Welfare of Senior Citizens Rules, 2011 in furtherance of his aforesaid contention that the Maintenance Tribunal under the Act does not derive or enjoy any powers to pass orders of the nature in the impugned case, of handing over of possession or evicting a person. 5.5 As against the aforesaid submissions, though attractive, a decision of this Court in Jayantram Vallabhdas Meswania v. Vallabhdas Govindram Meswania [AIR 2013 Gujarat 160] was brought to the notice of this Court. In that decision, the coordinate Bench of this Court, in the context of provisions of Sections 4, 9 and 23, has taken a view that direction to the petitioner to hand over possession of the property to respondent of that case, could not be said to be without jurisdiction or beyond the scope of Section 23 read with Section 4, 2(b), 2(d) and 2(f) of the Act. Since the said decision seem to be negativing in the aforesaid contention of learned advocate for the petitioners, may be noted with relevance for the facts in the said case involved. 5.6 However, the aforesaid submission and a decision contrary to the said submission need not detain the challenge to the impugned order in this case, in view of the final order being passed herein and the reasons therefor discussed hereinafter. 6. There is no gainsaying that the Act under which the powers are exercised to pass the impugned order has been enacted for the purpose of providing maintenance to the senior citizens and parents who were neglected in that regard by their wards and children. As the title of the Act suggests, provisions thereof deal with maintenance and welfare of the parents and senior citizens ensuring maintenance to the senior citizens and parents from their children is the basic object on which the law has been enacted. 6.1 The statement of object and reasons of the Act reads as under. "Traditional norms and values of the Indian society laid stress on providing care for the elderly. However, due to withering of the joint family system, a large number of elderly are not being looked after by their family. Consequently, many older persons, particularly widowed women are now forced to spend their twilight years all alone and are exposed to emotional neglect and to lack of physical and financial support. This clearly reveals that ageing has become a major social challenge and there is a need to give more attention to the care and protection for the older persons. Though the parents can claim maintenance under the Code of Criminal Procedure, 1973, the procedure is both time-consuming as well as expensive. Hence, there is a need to have simple, inexpensive and speedy provisions to claim maintenance for parents." 6.2 In new times, maintaining and taking care of the aged and elderly persons and the parents has posed as a social challenge with decline and dilution of the joint family system. It is in this context that these elderly persons who are not being looked after by the other family members are properly looked after and paid maintenance which is a necessary financial support to be extended to them. It is stated that need has arisen to give more attention to the care and protection of the elder persons, which is an essential challenge to be combated. It is in this prospect and with such avowed purpose that the law on the Maintenance and Welfare of Parents and Senior Citizens came to be enacted. 6.3 A survey of the provisions of the Act unambiguously demonstrate that the purpose of providing maintenance is predominant and pervasive applicability of the provisions. The maintenance is defined under Section 2(b) which includes provision for food, clothing, residence and medical attendant and treatment. It can hardly be gainsaid that the concept of maintenance primarily means monetary assistance for the aforesaid counts of food, clothing, etc. 6.4 In the above context of the purpose and purport of the Maintenance and Welfare of Parents and Senior Citizens Act, 2007 and the provisions contained therein, when the impugned order is closely seen, only reason recorded by the Tribunal is that since the opponents-present petitioners had been harassing the applicant, possession of the house in question is liable to be handed over to the applicant from the opponents-petitioners. This reason tantamount to no reason, much less a valid reason. To hold that since a party was harassing other party and therefore the other party was entitled to get the possession of the house property is not the adjudication of the rights of the parties on correct line under and in the context of the provisions of the Maintenance and Welfare of Parents and Social Citizens Act, 2007. 6.5 From the standpoint of above reasoning, the order is cryptic and illegal. Even if the question whether the authority under the Act can assume the powers of Civil Court to evict a person or to force hand over or transfer the possession of the house property is left to be debated in an appropriate case in future, the present order cannot sustain for the aforesaid equally weighty consideration. 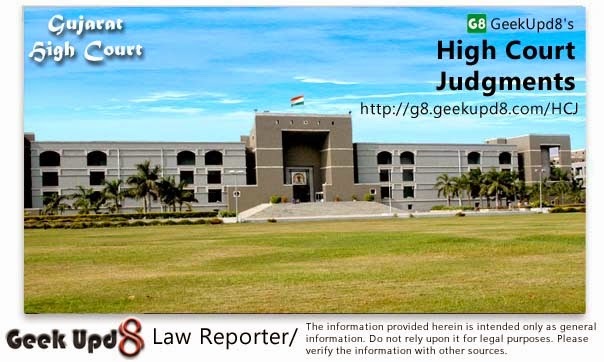 6.6 Having regard mainly that in the impugned order, the Maintenance Tribunal and Sub Divisional Magistrate has not touched the aspect of providing maintenance to the second respondent and without considering the rival case in that light, the order regarding handing over of possession is passed, the same is required to be set aside and the case has to be remitted back to the said authority for passing order afresh. 7. In the above entire view of the matter, the Maintenance Tribunal shall take up the case afresh and pass an order anew after keeping in view inter alia object of the Maintenance and Welfare of Parents and Senior Citizens Act, 2007 is for grant of maintenance. The prayer for the second respondent in her application under Section 5 has to be construed for such predominant purpose. The exercise shall be completed within a period of six weeks from the date of receipt of the order. 8. It is observed that if the Maintenance Tribunal comes to conclusion other than what is recorded in the impugned order upon considering the rival merits, it will be open for the authority to follow the decision of this Court in Jayantram Vallabhdas Meswania (supra) if that is found necessary to restore the justice. 9. Rule is made absolute in the aforesaid terms and to the aforesaid extent. No costs. In view of order passed in the main petition, no order is required to be passed in the present Civil Application. Accordingly the Civil Application stands disposed of. If a widow has only married daughters, no son but daughters are disposing assets of late husband who died instate, will this judgement be applicable to Betis of Country or It will be presumed that "Daughters Cannot Abuse their mothers during old age"- so says our Madam Minister for Welfare of Children & Women ?